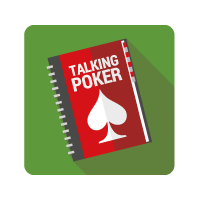 These are a list of some commonly used poker terms and phrases that will help you talk and play like a pro, whether you're around the home table, at the casino or playing online. ANTE –A small bet that each player must add to the pot before the start of a hand. This differs from a blind in that all players must contribute. Sometimes an ante is used in addition to a blind structure. An ante adds extra value to each hand played. ALL-IN – Any bet by which all of a player's chips are placed into the pot. BAD BEAT – A hand that started with a player holding a large statistical lead, but ends with a loss to a player drawing out to a low-percentage hand. BIG BLIND – One of two forced bets in some poker games. This bet is placed by the second player to the dealer's left and the amount represents the minimum bet needed to play the hand. BIG SLICK – Having hole cards of A-K.
BLANK – A community card that is turned up and has no effect on the game at all. BLINDS – Big and small, these are forced bets the first two players to the dealer's left must put into a pot before a hand is dealt. BLUFF – Making a bet, raise or representing a hand larger than the one possessed. BOUNTY – A prize earned by eliminating someone from a tournament. BUBBLE – This is the top finisher in tournament play who does not finish with a money payout. BURN – The discarding of the top card of the deck by the dealer before a card is dealt or turned face up in play. BUTTON – The dealer or the table position representing the dealer. This player is the last person to act in a betting round and is a position of power. BUY-IN – The cash amount required to sit at a cash game or the amount needed to participate in a tournament. CALL – Meeting a bet with the minimum amount. CHECK – The act of passing a bet if no bets have been made in the hand. CHECK-RAISE – Checking on the first opportunity, but then raising the bet if/when it comes back around. COMMUNITY CARDS – Cards dealt face up on the table that all participating players use to create their hands. DONKEY – A bad player. DRAW – Continuing to play an unmade hand with the hopes of improving to a more powerful one. DRAWING OUT – Drawing or having a needed card turned up to complete a hand. DRAWING DEAD – Having no possible cards/card combinations that will improve a hand enough to win. FISH – Bad or inexperienced players who are prone to giving away their chips. FLOP – The first three community cards dealt in Texas Hold'em and similar games. FLUSH – A hand of five cards of the same suit. FOLD – To give up your cards and any claim to the pot. FOUR OF A KIND – Having a hand with four cards of the same rank. FREE CARD – When no one bets and another card is turned over at no additional cost to the remaining players. FULL HOUSE – A hand consisting of a pair and a three-of-a-kind. GRINDER – A player who plays to a profit over an extended period of time. GUT SHOT – A straight draw in which the one card needed is in the middle of the straight. For example a 6-7-9-10 and needing only the 8 would represent a gut shot draw. HAND – Five cards used to score in a game of poker. Can be cards dealt to the player, community cards or a combination of the two. HEADS UP – A hand of poker played out between only two players. HOLE CARDS – Cards dealt face down to a player and which remain unseen by others until a showdown. IMPLIED ODDS – Considering the potential winnings in a hand from additional bets/calls coming from your opponents should you draw to a winning hand. Since these bets/calls are not in the pot currently and are only expected, speculating the value of your call/bet with the potential winnings and possibility of hitting your draw in mind is considered "implied". KICKER – The highest counting card in your hand that is not part of the "made" hand. For example if player one is holding A-A-10-10-Q and player two is holding A-A-10-10-9, player one would win with two pair and a queen kicker. In cases where even the kickers match between the highest hands, the pot would be split. LIMP – The nonaggressive move to simply call a bet. LIMIT – A betting structure where raises are capped at a particular level. LOOSE PLAY – A tendency to bet or call with any variety of cards keeping opponents off balance. Also an indication that a player may be on "tilt". MUCK – Any hands that are discarded/folded. Also, the act of folding one's cards. NO-LIMIT – A betting structure which offers players a minimum bet, but the maximum is the amount of chips in a player's stack. NUTS – Any player who has a card combination that is considered statistically unbeatable at any point in the hand is said to be holding "the nuts." As cards are revealed or dealt the nuts hand can change. OFF-SUIT – Two hole cards that are of differing suits. OMAHA – A variation of community card poker in which each player is dealt four hole cards to go with five community cards. A player may use only two of the hole cards and three of the community cards to form a hand. OPEN-HANDED POKER – Any game in which part of a player's hand is open to view. 7-Card Stud would be an example of open-handed poker. OVER-PAIR – Having a pair among one's hole cards that are higher than any pair shown in the community cards. OPEN-ENDED STRAIGHT DRAW – Having four cards toward a straight in which a card on either end will complete the hand. Holding a Q-J-10-9 and looking to draw a K or 8 would be an open-ended draw. OUTS – The number of potential cards a player can draw that would help them improve to a winning hand. OVER CARDS – Having a hole card or hole cards that are higher than the community cards or that are higher than an opponent's hole cards. PAIR – Two cards of the same rank. POCKET CARDS – Also known as "hole cards," these are the face down cards used to complete a hand. In Texas hold'em a players has two pocket cards while in Omaha a player will have four pocket cards. POT COMMITTED – A point in a hand where a player is obliged to call any bet based on an assessment the amount of chips in the pot and the player's remaining stack. POT ODDS – A player is getting good pot odds if the amount of money to call a bet is less than the odds of having the best hand. Calling a $100 bet with a pot of $1500 would give 15-1 pot odds. If the player's chances of winning the hand (with a made hand or on a draw) are better than 15-1, that player is getting the right odds to call. RAINBOW – A flop of three cards each being a different suit. RAG – A small or relatively insignificant card. An A-3 in the hole would be considered an ace-rag hand. RAKE – The percentage of a pot that the house goes to the house. RIVER – The final (fifth) card that is turned face up as part of a community set of cards. RAISE – A bet that is more than the minimum that would require other players to add additional money/chips to continue in the hand. ROYAL FLUSH – The best hand possible in poker consisting of A-K-Q-J-10 all of the same suit. RUNNER-RUNNER – Drawing two consecutive cards that are needed to make a winning hand. SATELLITE – A poker tournament, typically with a lower buy-in, in which winning players will receive entry into a larger tournament as a prize instead of a monetary payout. SEMI-BLUFF – A bluff where a player still holds the chance of improving their hand even if the bluff fails to work. SHORT STACK – Having the lowest amount of chips/money at the table or in the tournament. SHOWDOWN – After all rounds of betting are completed and all remaining players turn their cards over to determine the winning hand. SIDE POT – When one player is all-in at any point in a hand and additional players (with larger chip stacks) continue betting. The additional bets, which are higher than the all-in player can cover would form a side pot and be winnable only by the players who continued betting. SLOW PLAY – Playing one's hand in a manner to induce additional calls/bets from other players when one believes they possess the highest cards. Limping into a pot with pocket aces or calling a minimum bet with a made straight would be examples of slow play. SMALL BLIND – One of two forced bets in some poker games. This bet is placed by the player to the dealer's immediate left and is smaller than the big blind (usually one half). SPLIT POT – When two or more players reveal winning hands of equal rank they will divide the chips won in the hand evenly. STRING BETTING – Using staggered movement or multiple moves to add a bet to the pot. This move is not allowed and any additional chips/money added by the second movement will be removed. This illegal move is sometimes attempted to induce a reaction from another player. STRAIGHT – Five cards in sequence but not necessarily in suit. STRAIGHT FLUSH – Five cards in sequence that also match suit. TELL – Something that is identifiable in a player's actions, speech, mannerisms, etc., that can give another player information about the strength or weakness of their hands. TIGHT PLAY – A tendency to play very conservatively, typically in an attempt to minimize risk and conserve chips. TILT – Reckless and aggressive play typically stemming from bad luck or a bad beat at the table. TOP PAIR – The highest ranking pair possible on the board. TURN – The fourth card turned over in the set of five community cards, often referred to as "fourth street."